FLEX-TECH technology provides for maximum precision in any attacking situation, while the DGC40+ top sheet guarantees constant and reliable coupling when the bat hits the ball. 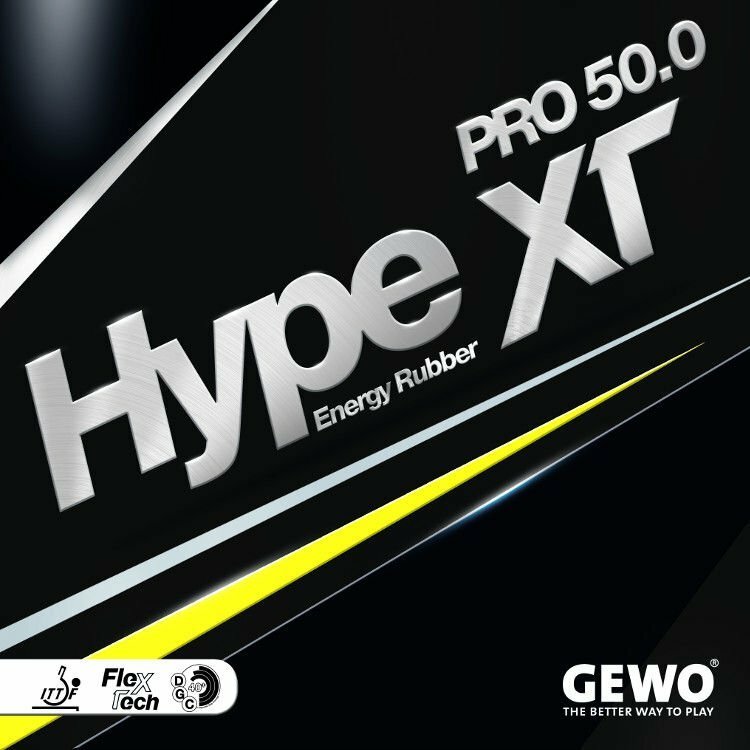 The premium product of the GEWO Hype series – ultimate speed in a new dimension! FLEX-TECH technology provides for maximum precision in any attacking situation, while the DGC40+ top sheet guarantees constant and reliable coupling when the bat hits the ball. These groundbreaking technologies are ideal for higher-level players. They are fun-toplay and feature convincing catapult effect, high trajectory thanks to maximum surface tackiness and great power with optimum energy transfer for point-winning topspin rallies. The two-year development focused on high forgivingness without compromise as regards speed, control and spin. Despite all the speed and dynamics of its 50° hard sponge, GEWO Hype XT Pro 50.0 still provides for great control for modern, spinny serve/return play thanks to its tacky surface. Unbelievable control for passive balls, blocking and opening flips thanks to FLEX-TECH sponge/rubber design. Truly a new standard in modern table tennis!